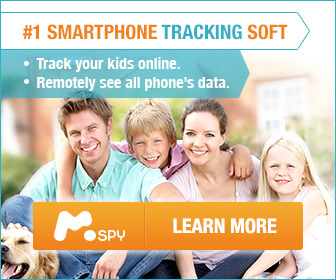 mSpy is a leading parental control software. WhatsApp, messages, Snapchat, and calls can all be monitored with this app. It also gives access to the GPS location of an individual but how does mSpy work? It can quickly be installed and has a friendly interface that can easily be navigated. The app is suitable for Windows PC, Android devices as well as Mac OS. It is popular among parents who find it handy in keeping an eye on what they kids engage in from the comfort of their homes. Its multi-language feature means that it is suitable for numerous regions around the world. For a more in depth analysis of mSpy checkout the: Hillstone mSpy Review which gives you a full rundown of the product. The tracking app is installed onto the device that will be monitored. The app’s icon is then hid to keep the user in the dark concerning its existence. They still can’t interfere with its settings even when they eventually discover it. mSpy gets access to every activity on the target device after being installed. From your online dashboard you can view and assess data on the phone. Contact details, text messages and call logs will all be at your disposal. The target phone needs to be connected to the internet for it to send you information. Any location with good internet connection can support its operations. From your dashboard you can view the target phone’s model, the memory space available, remaining battery life, operating system and the cellular service provider. Your dashboard also allows you to execute some functions remotely. You can lock the target device, wipe out all logs, reboot the phone remotely, unlink the target device and disable the software. The app has a feature that enables you to monitor and block different websites visited by the user. You can deny the user access to some sites if you wish to. The blocking feature is however browser dependent as the user can go around it when they use Operamini. How does mSpy work on iPhone? Before the app can operate in an iPhone, the device will have to be jailbroken first. You can however gain access to the iPhone device through iCloud but this will deny mSpy some features on the target phone. Once you jailbreak the device, access the Cydia app and enter the download link here. With this done the software can be downloaded and installed on the target device. Using iCloud to run mSpy on an iPhone will provide access to information and data that is backed up on iCloud. This will be possible once you turn on the iCloud backup option of the target device. You will then need information about the account to be able to gain access to data on iCloud. iCloud allows the user to backup call logs, photos, text messages, GPS locations, account details, contacts and safari bookmarks. All these will also be available on the mSpy app. Want to go direct to the mSpy demo and take a look for yourself? CLICK HERE for a clear visual understanding of the app. With iCloud, you won’t be able to view WhatsApp, Facebook, Twitter or web browsers and third party apps. Information on the target phone will also only be accessed after it has been backed up. Though jailbreaking may feel cumbersome, it remains the best option for full access on a target iPhone. How does mSpy work on Android? To download the software on an android device, you will need to root the device and have stable internet connection. Because android devices do not accept apps that have not been installed from the Play Store, you will enable unknown sources. Then you can simply download and install the software. You can then link the target device from your dashboard after hiding the mSpy icon. 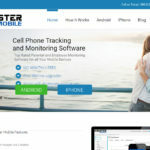 mSpy on an android device will enable you to monitor call and text history, emails, chat messaging alerts, GPS location, web history as well as memo updates. You also get remote access to the device. This feature allows you to restrict access to different software and apps. Another added feature is that you can monitor numerous devices at the same time. Once the app has been downloaded and installed free updates are can be gotten every time a new version is released. You can also get free live help from the service providers at all times. They guarantee privacy and safety of the information that you monitor with the app. Will mSpy Work for You? mSpy gives you unlimited access to a remote device. If you are looking to monitor what your kids are up to and probably control their information consumption, then mSpy will serve you well. It can easily be downloaded and installed. The app will reveal to you all the truth you want to find. From it you can accurately judge the behavior of your young ones. It can also be used for employers who want to keep an eye on how employees make use of company phones, how does mSpy work in these circumstances? exceptionally well!. The program begins running every time the target device is booted and will keeping sending relevant information until the phone is switched off.